Risky Business Model of Ajay Piramal Reviewed by PHARMALEADERS on April 29, 2014 . 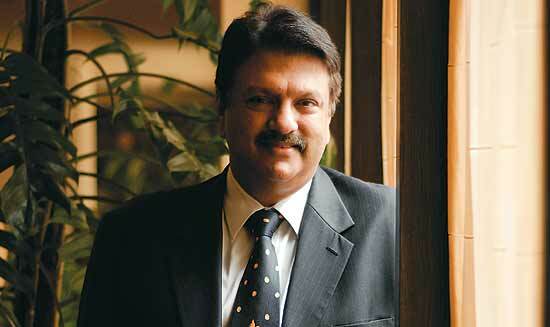 Ajay Piramal was still in his twenties when his father passed away suddenly in 1979. The Piramal group was fairly prominent with interests in textiles, luggage and other industries. Shortly after his father’s death, the group split in 1982, with Ajay (and his eldest brother Ashok) retaining the group’s textile business, which primarily consisted of the flagship Morarjee Goculdas Spinning & Weaving, and a few other businesses. Elder brother Dilip Piramal moved away with the plastics and luggage business. The textile industry then was about to begin its long decline. In 1982, labour leader Datta Samant orchestrated a massive labour strike that would lead to the closure of 50 big textile mills of Bombay and affect over 2,50,000 workers. The year-long strike would end up crippling Bombay’s textile industry and bankrupting many prominent textile barons. In 1984, Ashok died of cancer, and Ajay was left in charge of a group facing a very tough business environment. While Ajay tried to keep the textile business running profitably, he also decided that it would not be the business of the future. In 1988, he successfully bid for the Indian arm of Nicholas Laboratories, an Australian drugmaker that wanted to exit the country. He spent the next two decades building a profitable and fast-growing pharmaceutical business and turning it into one of the top five drugmakers in India. In 2005, the group split once again, with Ajay retaining the pharmaceutical business and Gujarat Glass (now Piramal Glass). Ashok’s widow Urvi got the textile and realty businesses. One would have expected Ajay to focus on the pharma business, especially as it was growing rapidly and was quite profitable. Instead, in 2010, he sold off the formulations business to Abbott Laboratories. The sale netted him $3.72 billion in cash, of which he got $2.12 billion upfront, while the remaining $1.6 billion was paid in four equal tranches over four years (he has received the first three tranches so far, and the fourth will be due in a few months). Now, Ajay has decided to place big bets on new areas with the money he received from Abbott (and also from an investment he made in Vodafone, which has paid off handsomely). In our cover story this issue, senior editor P.B. Jayakumar looks at the areas in which Ajay Piramal is putting his money, and the new empire he is building now. Aurobindo Pharma faces patent infringement cases in U.S.
Ranbaxy Sunpharma Deal derailes, Insider Trading before the merger,SEBI, BSE, NSE alerted by High Court on a Petition!